If It's Hip, It's Here (Archives): Minjjoo's Small Door For A Big World. The minjjoo children’s door is an interior door with an integrated small door. 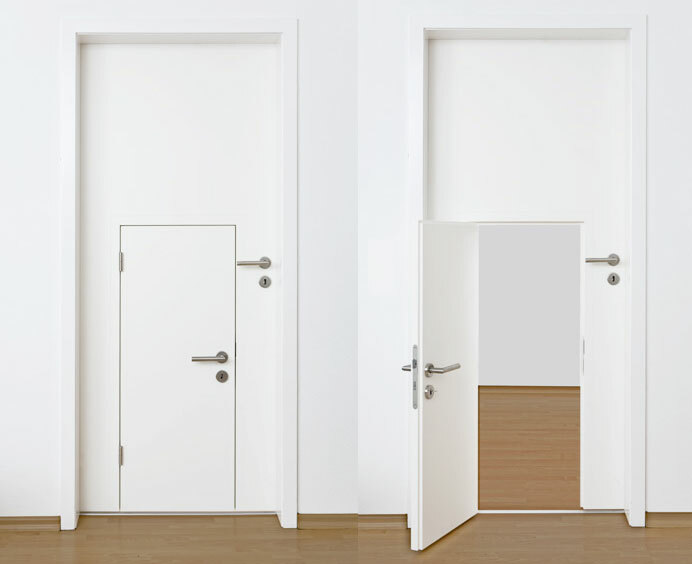 All three parts of the door – door leaf with built-in small door, doorframe and handle set (one for the small, one for the big door) – are available separately. This door can even be be painted upon. 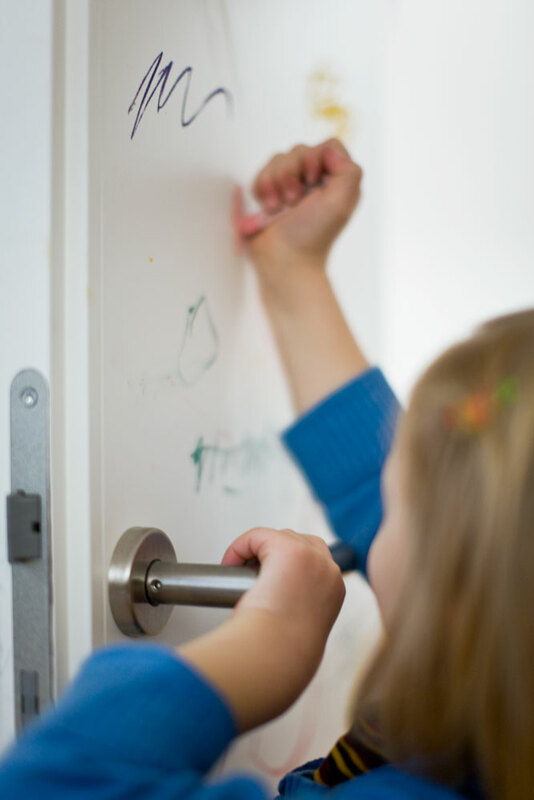 They have a waterproof white chalkboard-coating that can be drawn on or written on with chalks or water soluble markers which can easily be wiped off again with a wet cloth. Suited for kids older than one and a half years, it's available in two sizes, each in versions opening either to the right or to the left. You can order either only the door leaf or the leaf including frame and handles. The door can simply be attached to an existing doorframe. You can also order a corresponding doorframe along with the door. For installation of the door frame additional materials are required, which they do not provide. If in doubt, you should enquire with a professional. Order the minjjoo door here.